Home > Have You Heard? > Happy 10th Anniversary, Noisy Planet! Happy 10th Anniversary, Noisy Planet! It’s a Noisy Planet. Protect Their Hearing.® is a national public education campaign to prevent noise-induced hearing loss (NIHL)—hearing loss caused by exposure to loud noise. The campaign aims to increase awareness of NIHL among children ages 8 to 12, parents, and educators. Now celebrating its 10th anniversary, the Noisy Planet campaign has reached approximately six million people with its NIHL prevention message. Building on a decade of successful classroom presentations, Noisy Planet’s Teacher Toolkit makes key resources available to all. These kids loved participating in the video shoot for the toolkit! Since the National Institute on Deafness and Other Communications Disorders (NIDCD), part of the National Institutes of Health, launched Noisy Planet in 2008, the campaign has spread the healthy hearing message through school presentations, partnerships, conference sessions and workshops, traditional media, social media, and online and print materials. Noisy Planet’s 10-year anniversary coincides with the NIDCD’s celebration of 30 years of research support in the areas of hearing, balance, taste, smell, voice, speech, and language. Wear hearing protection such as earplugs or protective earmuffs. The NIDCD has distributed nearly a million Noisy Planet publications in English and in Spanish. The campaign was featured on a “Kids Week” episode of the TV game show Jeopardy! Noisy Planet has taught more than 20,000 kids in the Washington, D.C., metro area why and how to protect their hearing. The NIDCD has shaped the Noisy Planet campaign based on feedback from parents, educators, and partners. Noisy Planet staff used results from a 2012 evaluation to inform design and content updates of the campaign’s website and fact sheets. The Noisy Planet website features science-based information on NIHL, including an e-newsletter, fun quizzes and interactive games for preteens, and videos and other instructional content for the classroom and for social media. 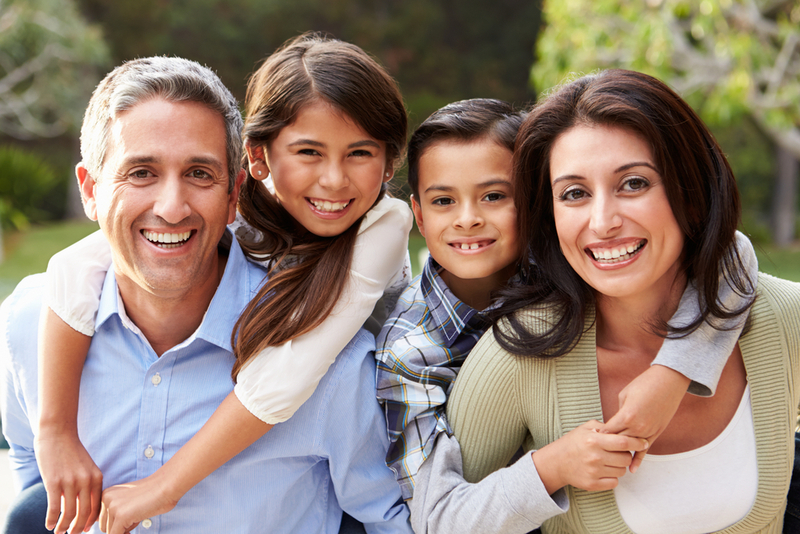 Noisy Planet created a Spanish language website as a one-stop shop for Spanish-speaking audiences to find our materials. Noisy Planet offers content syndication to place content from the Noisy Planet site on your own site. The content adopts the look and feel of your site and is automatically updated, requiring no effort to keep the pages current. The campaign also has a Facebook page and is often featured on the @NIDCD Twitter account. In 2017, Noisy Planet developed an online Teacher Toolkit so that teachers anywhere can use our popular NIHL presentation with their own students. In early 2018, the Teacher Toolkit was spotlighted by PBS Learning Media. The toolkit also includes an animated Journey of Sound video produced by the NIDCD. The two-and-a-half-minute video shows the amazing physical processes that allow us to hear and understand sounds. Noisy Planet partners with several federal agencies and organizations to disseminate hearing protection messages. Campaign staff have also led conference sessions and train-the-trainer workshops for 4-H youth leaders, school nurses, and audiologists. 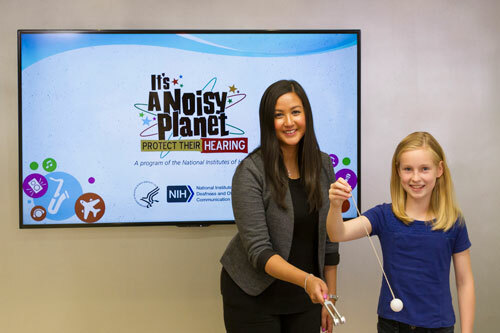 As Noisy Planet moves into its second decade, the campaign will continue to spread the NIHL prevention message in English and Spanish to kids, parents, school nurses, teachers, audiologists, and others—helping to increase awareness of noise-induced hearing loss and encourage healthy hearing habits. Noisy Planet Launches a New Spanish-Language Website! Noisy Planet’s Spanish-language website raises awareness about the causes and prevention of noise-induced hearing loss. Noisy Planet Offers a Teacher Toolkit! 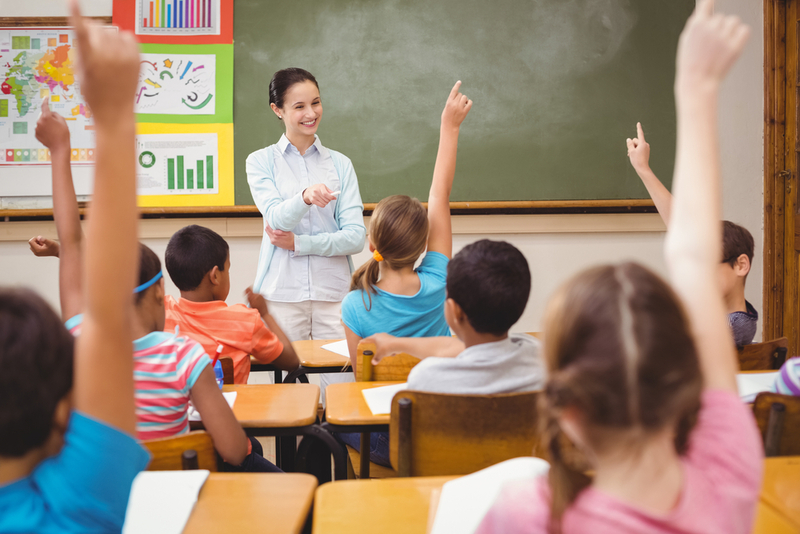 Our Teacher Toolkit helps educators and school nurses teach children about the causes and prevention of noise-induced hearing loss. Educators from administrators to music teachers learn how to incorporate healthy hearing messages into their daily interactions with kids.